The recipe for this sauce came out of necessity (as I believe most really good things do). I wanted something special and homemade to slather on our smoked baby back ribs and I hardly had any ketchup in the house to make a ketchup based BBQ sauce. What’s a girl to do??? I’ve got it! Why not reach for the salsa instead? Try this, I know you’re going to like it and it certainly beats the heck out of your usual ketchup based BBQ sauce! 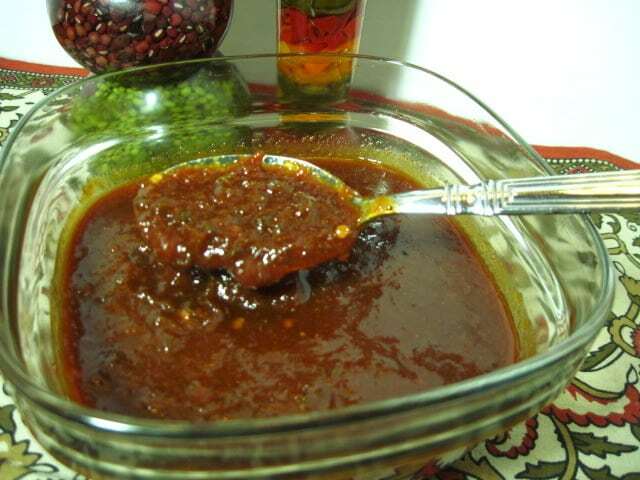 -In a medium size sauce pan, over medium high heat, combine all ingredients and cook to reduce stirring occasionally (approximately 20 minutes). 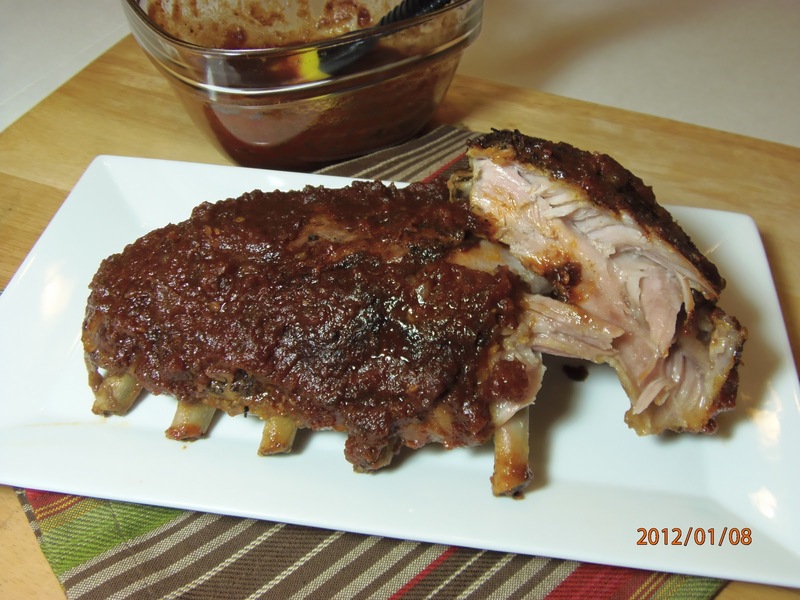 -Place the ribs in a shallow pan and generously pour apple cider vinegar to both sides of the ribs. -Season the ribs liberally (on both sides) with salt and pepper. -Allow the ribs to sit for approximately 30 minutes with the apple cider vinegar and salt and pepper. -Sprinkle the tops of the ribs with the smoked paprika and a light sprinkling of brown sugar. -We cooked our ribs in the outdoor smoker at 275 degrees for 5 hours but you can also cook the ribs indoors in your oven at a low temperature – 300 degrees for 4-5 hours (you’ll benefit here from having the smell of these babies permeate your home). -Slather the BBQ Salsa on the ribs for the last 30-40 minutes of cooking and you’re ready to eat!!! I can hardly wait to try this sauce on chicken, burgers and even a pork roast or two. Try mixing a little into your meatloaf or substitute it for the sauce on your pizza. Oooooh, now THERE’S an idea!!! Try it with a ham and pineapple pizza….Be still my heart!!! I hope you enjoyed this recipe and will try it in your own kitchen. I'm bookmarking this post! We enjoy a good feed of ribs every once in awhile and the next time we have them I'm cooking mine like you did your complete with your wonderful looking sauce. We'll absolutely be making these! My whole family loves ribs. Bernie was even excited. Nothing beats homemade sauce!